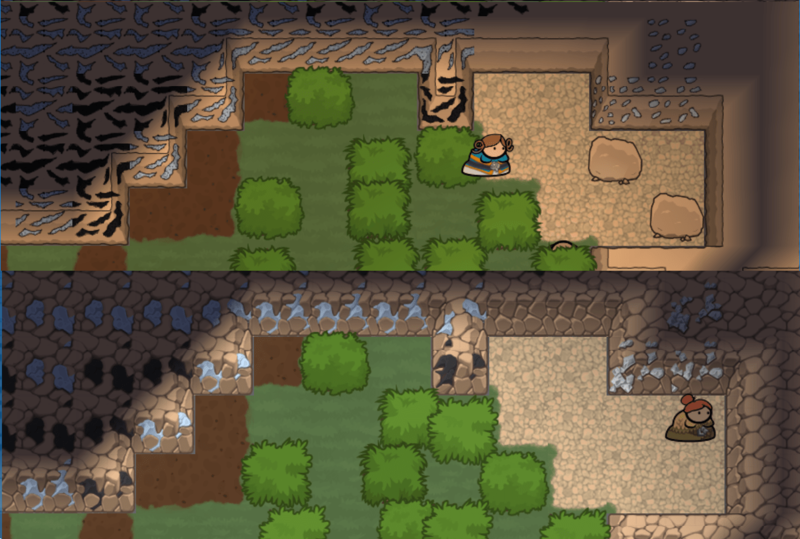 First of all though, we’re finally starting to see some fruits of the Patreon campaign, to begin with a new set of sprites representing natural (rough) stone walls and the overlaid ore and gems. Thanks to Derek Restivo as the artist responsible for these and more upcoming in-game artwork for the foreseeable future. With that out of the way I want to go into some detail on farming which should hopefully be in the next playable build. While dwarves aren’t well known for their horticultural skills, at this early stage in the game’s development they’ll probably rely on growing at least some of their food from above-ground crops. As the game develops and more options become available, the dwarves may have a greater reliance on underground (mushroom) farming, but for now they’ll be fairly proficient “normal” crop farmers. The main inspirations for this stage of the game are the Harvest Moon series and by extension Stardew Valley. These games make a slow and simple farming life fun, and that’s something I’m aiming to capture in King under the Mountain. The main difference being that instead of planting seeds and being able to harvest a ripe crop just a number of days later, King under the Mountain has a more realistic seasonal and annual cycle to growing crops and storing up food. The player will need to sow enough crops (mostly in Spring although different crops can be sown in other seasons) and tend to them until the harvest in Autumn/Fall. Ideally this will provide enough raw ingredients to provide enough food until the next harvest in the following year, much like in real agarian communities. It will be possible to “top up” food reserves through other means (fishing, growing mushrooms underground, hunting) but the majority of a settlement’s food is expected to come from the annual harvest. 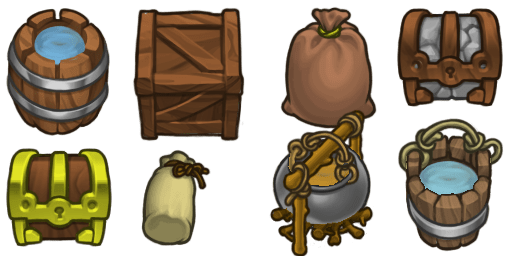 While it’s not in the game yet, storage and spoiling of food will play a big part in the challenge of making sure food supplies last throughout the year. Some crops and fruit or vegetables will spoil relatively quickly, while others like wheat/grain can be stored until they’re used to produce something more edible like bread. To make all this possible there’s been a fairly major revamp to the way plants are defined and modded into the game. Every type of plant is now extremely customisable in how it is defined – they can have a set colour or range of colours, or even a transition of colours (as seen in tree leaves in autumn or the tomato fruits above) for every colouring “layer” (leaves, branches, fruit, flowers, etc.) which can be defined for any different stage of growth or something specific to a season. Plants also define what they’re made out of, how they are planted, and what they produce when harvested. This means it’s already possible to have “plants” made out of rock or crystal, flowers that bloom in winter, or leaves that cycle through different colours in different seasons. I’ll be sure to document this all when modding is opened up properly (currently planned very soon after Alpha 1). Right now I’m in the process of hopefully finishing up farming in time for the next build going out to Patreon backers on 1st May. This has also necessitated more complex needs with settlers’ inventory, so the dwarves now need to either be carrying or find the right tool for the job they want to do. For now they will spawn onto the map with all the tools they’ll need but in the future this will be customised before embarking to a new settlement. The next month should see farming completed, including underground mushroom farming (not quite started yet) moving on to actually producing edible food out of these crops that are being grown. Eating and distributing that food comes next, followed by needing to drink and the (fairly complex) brewing of beer. It’s a lot to get done in a short amount of time but I’m extremely eager to get all of this done for a much improved Kickstarter demo come July!